This tour shows you the best of what the Bay has to offer! Start your day with a scenic 40 minute ferry ride with EXPLORE, through the Islands to the spectacular Otehei Bay. From here we will take you on your 3 hour kayaking adventure. There are caves, crystal clear water, white sand beaches and amazing views. Theres time at the island stop to either take a swim, walk to an amazing view or go snorkelling. Once back at Otehei Bay the rest of the day is yours to explore the Island, conservation centre of just relax at the cafe/bar with some great food and drinks. The hardest part of your day is deciding when to leave. Fully set up Sea Kayak, PFD, Snorkelling gear, Ferry ride to and from Otehei Bay and Dry Bags for personal belongings. Bring change of clothes, water bottle, towel, camera and sun protection. Children must be old enough to fit the gear and each child must be accompanied by an adult in a double kayak. Minimum age is 10 years old for this tour and each child must be accompanied by an adult in a double kayak. This is a very popular tour and one of the best day trips in the Bay of Islands and some of the best kayaking in New Zealand. This is a true adventure and the best way to see the Bay of Islands. Be the captain of your own boat and see nature up close and personal! 6 hours on the water (3 hours kayaking). Snorkelling gear and picnic lunch provided. Pick up and drop off from your accommodation. Fully set up Sea Kayak, PFD, Snorkelling gear, Tasty picnic Lunch, transport and Dry Bags for personal belongings. Average level of fitness required. Children must be old enough to fit the gear and each child must be accompanied by an adult in a double kayak. Minimum age is 15 years old for this tour and each child must be accompanied by an adult in a double kayak. 2 Days kayaking, camping and exploring out at the Islands. Our multi day tours are amazing and we take care of everything. Relax and explore the Islands and if you are lucky enough and not too tired from your day exploring check out the bio luminescence in the water at night under the best star filled sky you have ever seen! Kayak and gear, knowledgable guide, all meals, tent, basic mats, park fees and transportation. A sleeping bag (or one can be rented). A more in depth gear list will be emailed to you. Minimum age is 15 years old for this tour and each child must be accompanied by an adult in a double kayak. This is for the people that want to really get away from it all for a few days. More time to kayak, more places to explore and plenty of time to relax! Also two nights camping really makes this tour special. Dinners on the beach under the stars and a short calm night paddle if you have the energy to check out the glow of the dark, luminescent waters! After a paddle under the falls we will stop for a break and refreshments before our paddle back down the river to where we started. 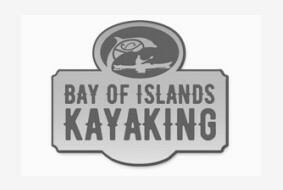 Fully set up Sea Kayak, PFD, Light Refreshments, and Dry Bags for personal belongings. Children must be old enough to fit the gear. Minimum age is 10 years old for this tour and each child must be accompanied by an adult in a double kayak. 2 Hour Sit on kayak rentals at Otehei Bay on Urupukapuka Island. 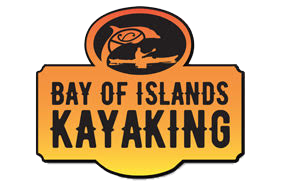 We have lots of kayaks and paddle boards so if you want them for shorter just come see us at the Island!! Please ring Explore on 094028234 to book your ferry to Otehei Bay. Ferries leave Paihia and Russell Wharf. There are ferries at 8.30am, 10.30am and 12.30pm and the ferry takes 40 minutes. Our rental times are suited for each ferry. Come and see us on the beach at the front of the cafe when you arrive. Water, sun protection, clothes to get wet and a smile! !